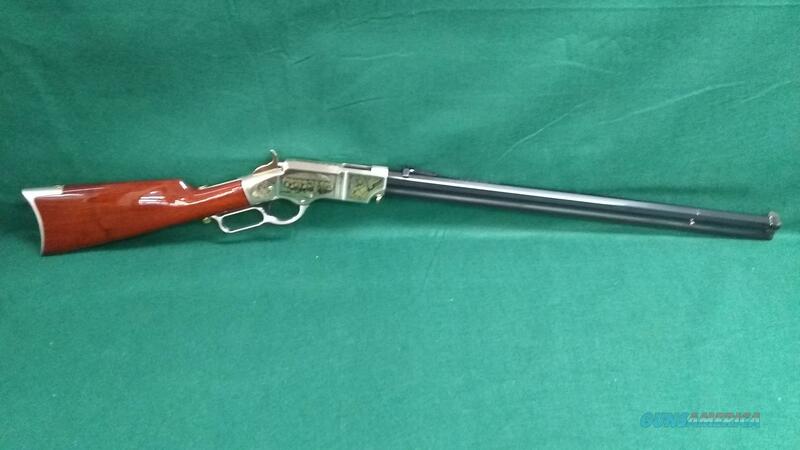 Description: Uberti / Taylors “Lee and his Generals” Henry Rifle – 44-40 – 24” Barrel – General Lee and his generals engraved on the receiver. - #58 of 500 limited edition. Gun is in near perfect condition with only two small marks on the stock.